China is making a big push to encourage greater international use of its currency, the renminbi. It has an agreement with Brazil to facilitate use of the two countries’ currencies in bilateral trade transactions. 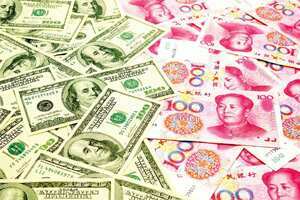 It has signed renminbi swap agreements with Argentina, Belarus, Hong Kong, Indonesia, South Korea and Malaysia. Last summer, it expanded renminbi settlement agreements between Hong Kong and five mainland cities, and authorized HSBC Holdings to sell renminbi bonds in Hong Kong. Then, in September, the Chinese government issued in Hong Kong around $1 billion worth of its own renminbi-denominated bonds. All of these initiatives are aimed at reducing dependence on the dollar both at home and abroad by encouraging importers, exporters and investors to make more use of China’s currency. The ultimate goal is to ensure that China eventually gains the flexibility and financial prerogatives that come with being a reserve currency country. No one questions that the renminbi is on the rise. For the same reasons that the global economy has become more multipolar, the international monetary system will become more multipolar, with several currencies sharing reserve currency status. And no one questions, given China’s size and growth prospects, that one day the renminbi will be an important international currency. The question is, when? Cautious observers warn that making the renminbi a true international currency will take time. Making it attractive for private and official international use will require China to build deep and liquid financial markets. This will mean the development of more reliable and transparent clearing and settlement systems. It will require a benchmark asset, a well-defined yield curve and a critical mass of market participants. All of these dimensions of liquid markets take time to build. Moreover, those markets will have to be open to the rest of the world. In other words, China will have to fully open its capital account before the renminbi can become a true international currency. This will require putting banks and state-owned enterprises on a fully commercial footing, and moving to a more flexible exchange rate. In short, it will entail fundamental changes in the Chinese growth model. All this is a reminder that the task will not be completed overnight. But the US’ own history suggests that the process can be completed more quickly than is sometimes supposed. As late as 1914, the dollar played absolutely no international role. No central bank held its foreign reserves in dollars. No one issued foreign bonds in dollars. Instead, they all went to London, allowing British banks to underwrite their transactions and conducting their business in sterling. Even US importers and exporters requiring trade credits obtained them in London rather than New York and did their business in sterling rather than dollars. That London rather than New York still dominated in 1914, when the US economy was already more than twice the size of Britain’s, reflected the latter’s head start as an industrial power, an exporter and a foreign investor. This is a reminder that incumbency is a considerable advantage in the competition for reserve-currency status. But this situation also reflected the fact that the US lacked the market infrastructure needed for the dollar to play an international role. In particular, the US lacked a liquid market in trade acceptances, the instrument used to finance imports and exports. And it lacked a central bank to backstop that market. This changed in 1914 with the creation of the Federal Reserve System. One of the new central bank’s first actions was to encourage the development of a market in trade acceptances. It did so by using repurchase agreements to buy for its own account the majority of trade acceptances issued in New York. This ensured that spreads were low and prices were stable. As a result of this official support, private investors gained confidence in the new instrument. And, with their growing participation, the market in trade acceptances became more liquid. New York surpassed London as a source of trade finance by the mid-1920s. At this point, the Fed could curtail its intervention and give the market over to private investors. And where private investors led, central banks followed. In the second half of the 1920s they held more of their reserves in dollars than sterling. Thus, it took barely a decade, from a standing start, for the new international currency to overtake the incumbent. Chinese officials have targeted 2020 as the date by which both Beijing and Shanghai should become leading international financial centres, with deep and liquid financial markets open to the rest of the world. By implication, that is the date by which they want to see the renminbi become a leading international currency. Can the renminbi become a major international currency in as little as a decade? Only time will tell. But US history suggests that this schedule, while ambitious, is not impossible.